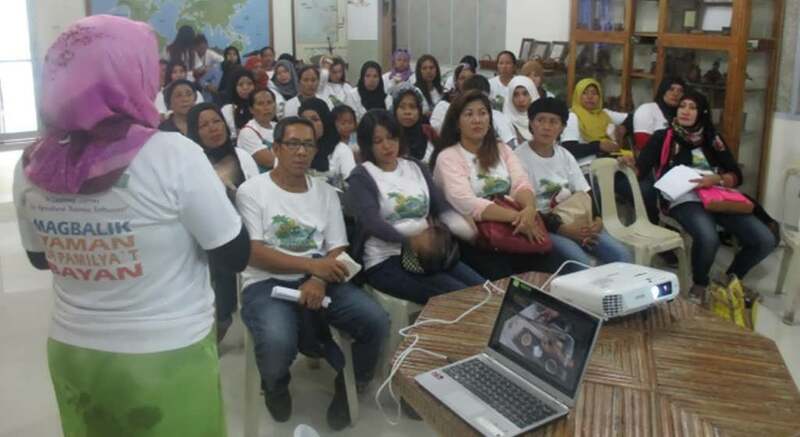 The National Reintegration Center for OFWs in Region IX (NRCO 9) in partnership with the Department of Agriculture Regional Field Office IX - Agribusiness and Marketing Assistance Division (DA RFO IX AMAD), facilitated the conduct of the Byaheng Agripreneur last October 5, 2017 in ZamboangaCity. Ruminant Center in Pamucutan, Ayala District and the Philippine Coconut Authority CocoFed Training Center in San Ramon, Zamboanga City. On the 2nd day, resource speakers from the DA RFO IX AMAD, facilitated a forum for OFWs wherein the participants of the first day learned the contemporary methods of gardening. Participants also earned their training certificates for participating in the 2-day activity. The Byaheng Agripreneur is NRCO's business and agricultural project for OFW entrepreneurs, would-be entrepreneurs and their families that provides opportunities for exposure visits, experiential learning and skills enhancement training specifically in agricultural business.